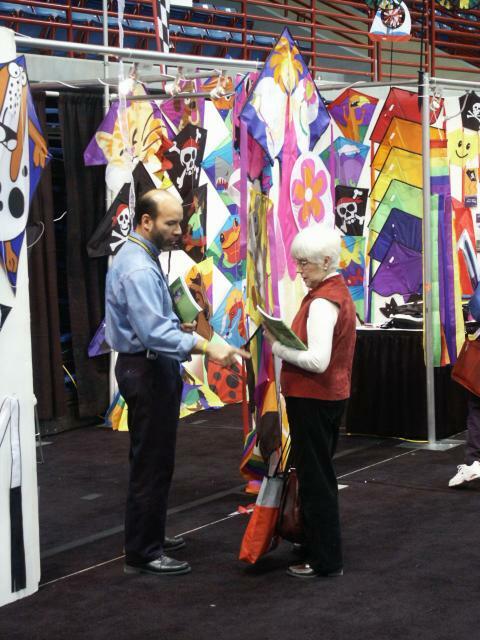 Off to another day at the races… With this being the first official day of the trade show, nearly everyone had arrived and was ready to shop! 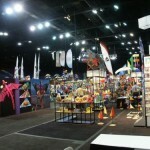 We kicked off with a 9am KTAI business meeting where board members and officials reviewed minutes and financial details with attendees, had a open forum, and elected new board members… Most of the items brought up mirrored yesterday’s discussions, with an eloquent recap by Rick Kligman where he elaborated on the incredible customer base that his stores in South Carolina had developed over years of regular flying in the area during the early 90s, and how kite sales steadily declined when they stopped flying in favor of caring for their higher traffic tourist store. 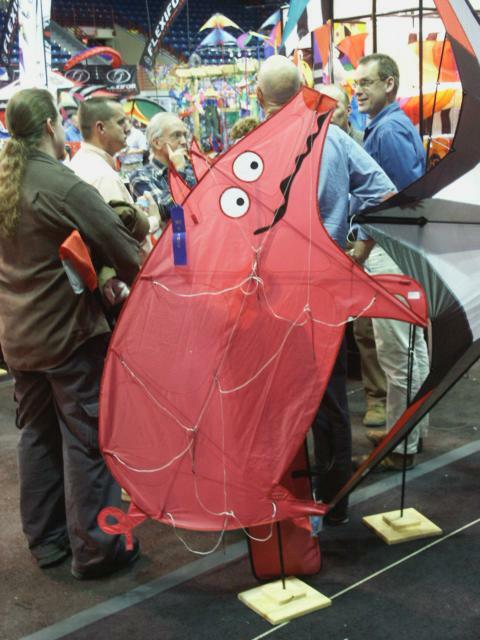 Bear this clearly in mind… He brought it to our attention in order to fully illustrate and validate the hot topic at yesterday’s retailer meeting, and many in the organization are looking at that aspect. 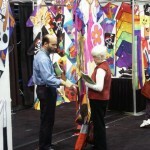 We need to get out and expose the public first hand! 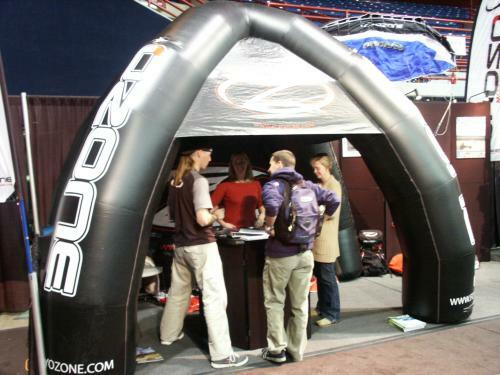 Brian and Heather Schenck were present in their distinct inflatable booth featuring an excellent line of power kites and traction products, as well as educating and promoting their nationwide snow skiing tour to those who stopped by. 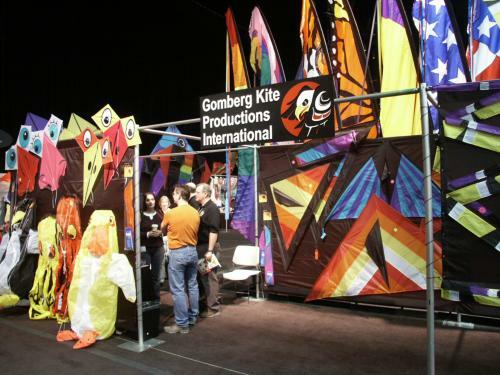 Gomberg Kites was in full effect with their usual array of awesome displays, single line kites from all over the world, and line laundry – including their new “bugs” of which we will be sure to include photos in tomorrow’s report. 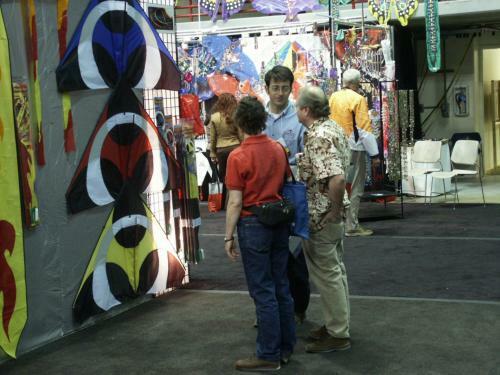 Booths did not seem to be ornate as in some years past, very clearly reflecting the market trend that was well covered yesterday… Prism has scaled back significantly, as well as a few others. 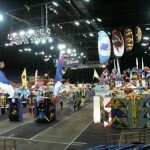 I have not gotten a reading on the level of sales yet, and will try to get information out to all of you on the last day here when numbers will be more complete. 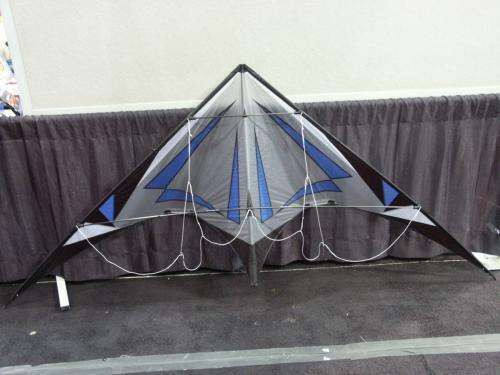 Revolution unveiled the new UFO (Ultimate Flying Object) by Lee Sedgwick, which operates on a tether as we’ve seen in other recent products and also floats around the room quite effectively simply by batting it around with two wands… Well demonstrated by Lee last night, this looks like another fun and accessible addition for 2005. 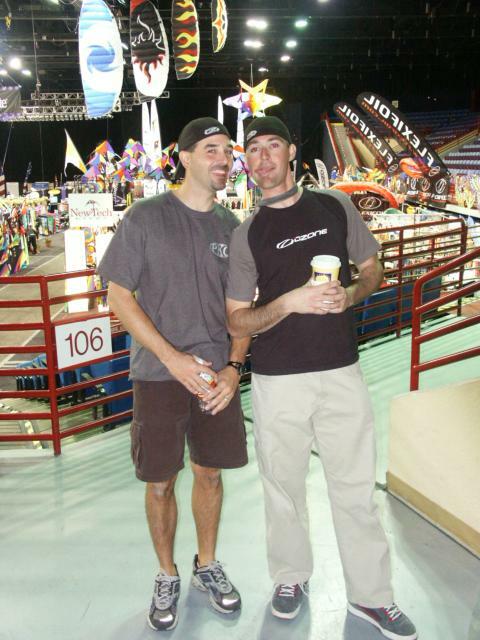 After a couple years of waiting, I finally managed to get a shot of Jeff Howard and Brian Schenck together (just up and left), the resemblance is simply uncanny… Both of these guys are top notch, old friends of mine, and VERY good at what they do! 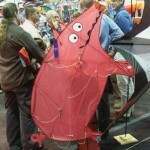 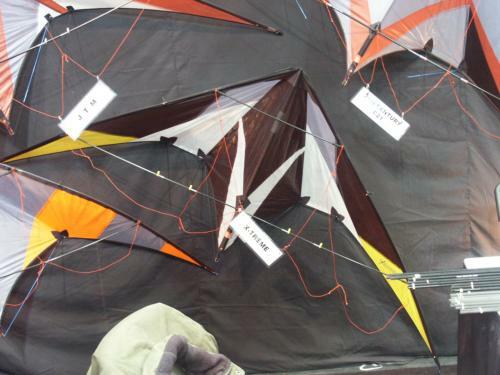 Avia is featuring their successful line of kites again this year, with the Ticket showing up in new colors and some modifications which according to Paul designer DeBaker, increase the overall trick ability. 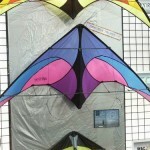 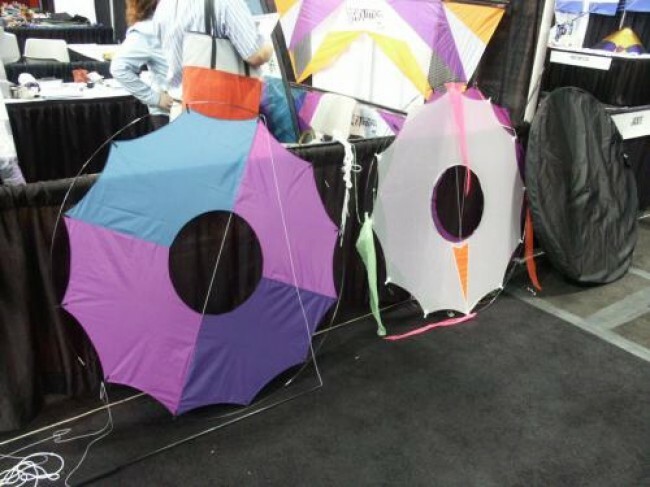 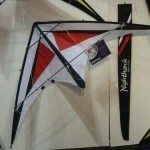 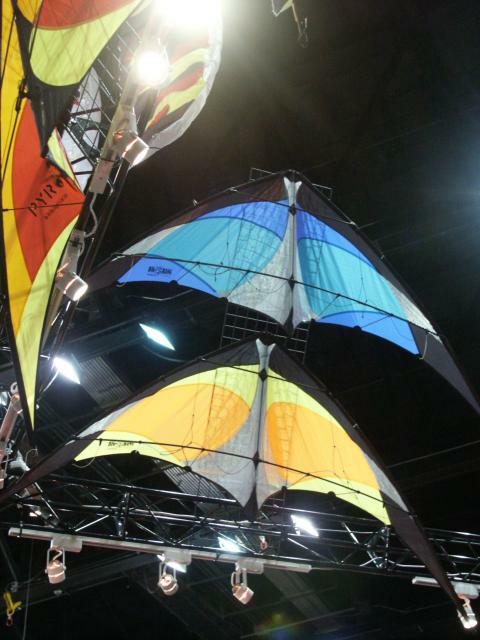 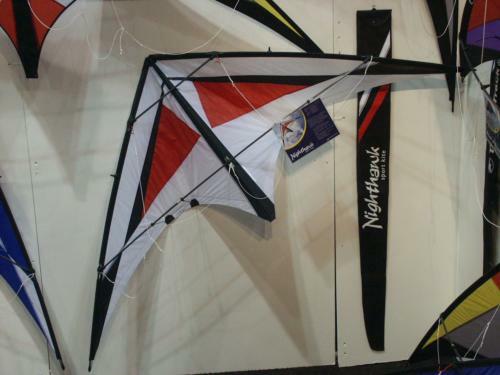 Premier is rolling out two new kites for 2005 that were co-designed by Jon Trennepohl and Wayne Brunjes… The Magnum and the Nighthawk, both of which seem to be coming up in discussion quite a bit with the retailers I’ve talked to. 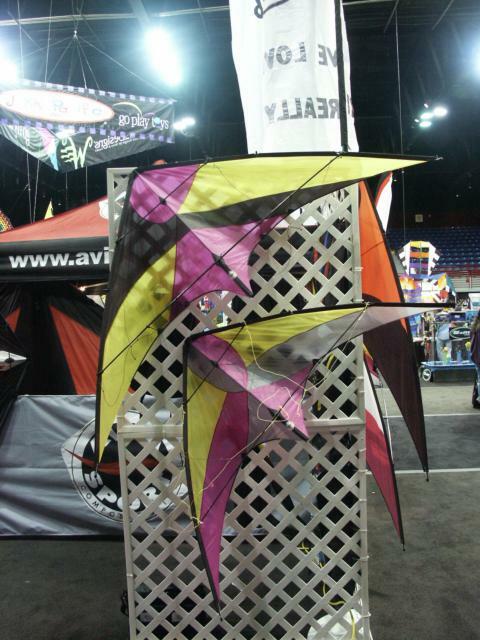 Directly from Skyburner Kites, keep an eye out for the new Delta Drive… We got a sneak peak of it at the 2004 AKA Grand Nationals, and Jon is very excited about it! 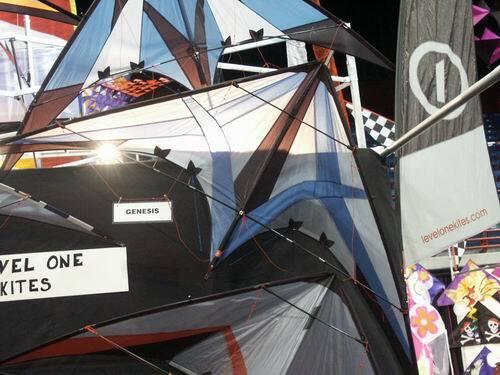 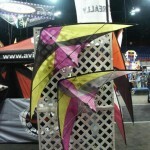 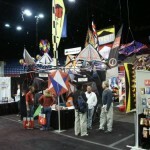 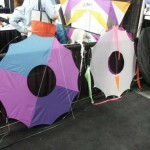 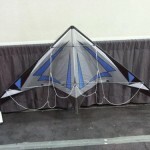 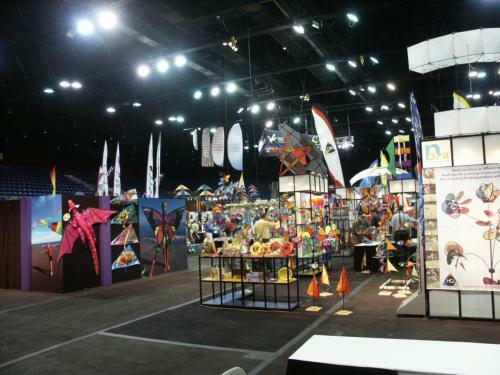 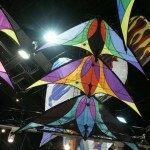 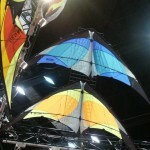 Also in the Skyburner tent for 2005, Level One’s new kites, the Genesis and the X-Treme. 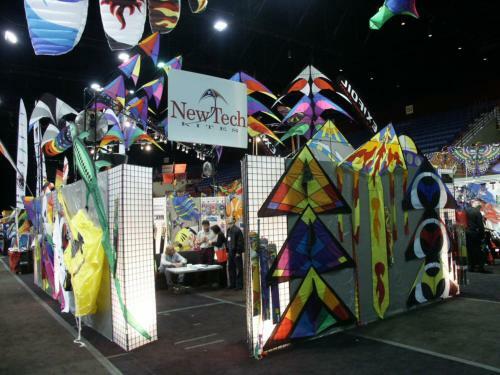 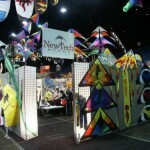 New Tech’s entries for this year include the Cherry Bomb which looks to be an excellent entry level kite, slightly larger than the Beetle and a more modern “trick cut” to it, as well a larger line of kites in the Techno and Big Bang Pro. 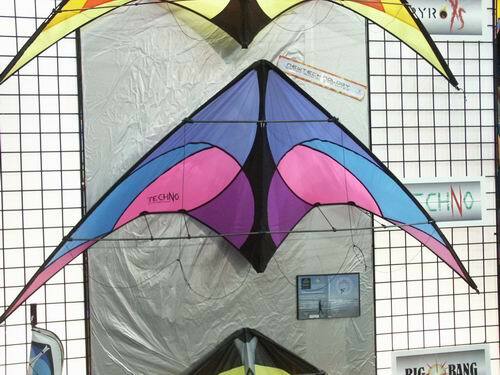 In the HQ tent, a flying quad line pig caught my eye… Again, I’ll make a concerted effort to go back through a number of times so we can more thoroughly report on as many new and popular products as we can over the next two days. 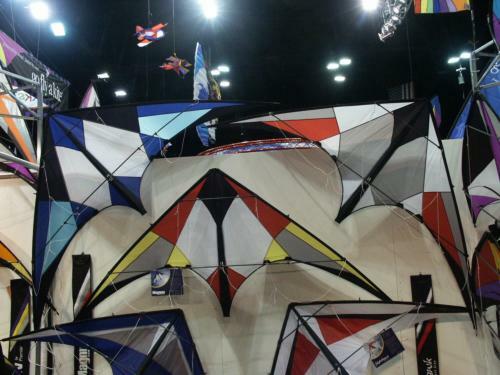 Demo day is tomorrow morning, and we’ll get a much better taste of what these new kites are actually capable of. 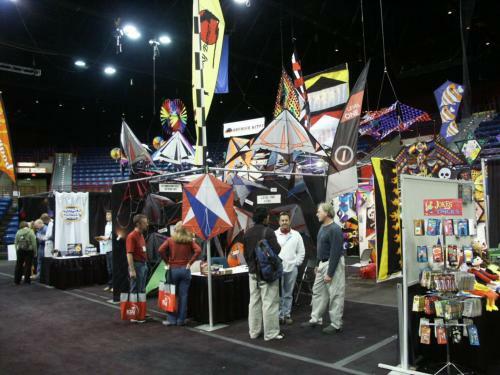 I have to be honest… With this being my first year attending KTAI as a business owner and member, I spent much of the day promoting Kitelife (finding it is already well recognized in the industry) and talking with many old friends I have not seen for many years! 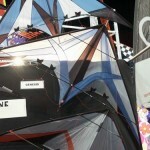 Some of the faces I have been missing at the festivals and found here? 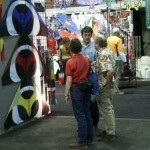 Daniel Prentice of Shanti (also formerly of American Kite Magazine), as well as Pam Kirk and Mike Dennis of Top Of The Line fame during the early or “golden” years… Three individuals who have made or been a direct part of significant impacts on kiting in years past, and are responsible for much of the development of kiting in it’s heyday during the late 80s and much of the 90s. 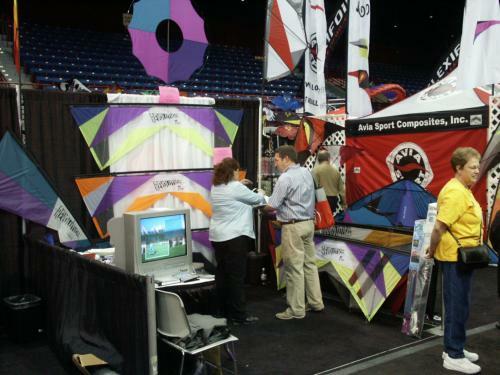 We’re coming up on midnight here, and I had better get rested up so we can put the new 2005 kites through their paces in the morning… I’ll do my best to get varied opinions from others, and bring that tasty information back to you tomorrow night. 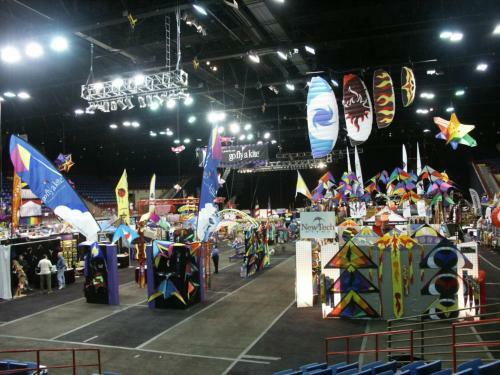 Thank you everyone, for being a part of this! 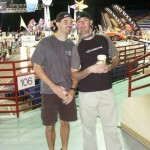 This entry was posted in 2005, 2005 Extra! 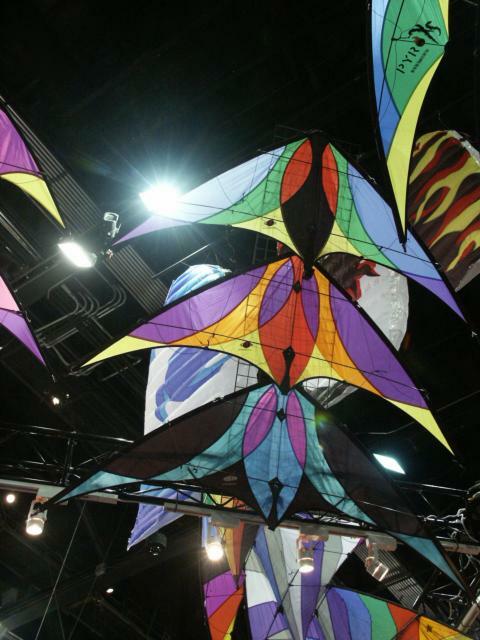 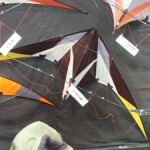 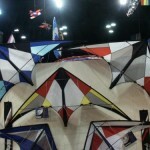 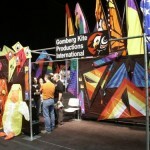 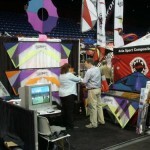 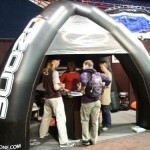 KTAI, Daily Reports, Dual Line, Events / Festivals, Indoor, Innovative, KL Archive, KTAI Trade Show, New Kites, Quad Line, Reports, Single Line and tagged avia, gomberg, hq, KTAI, navada, new tech, premier, primm, revolution, skyburner, trade.